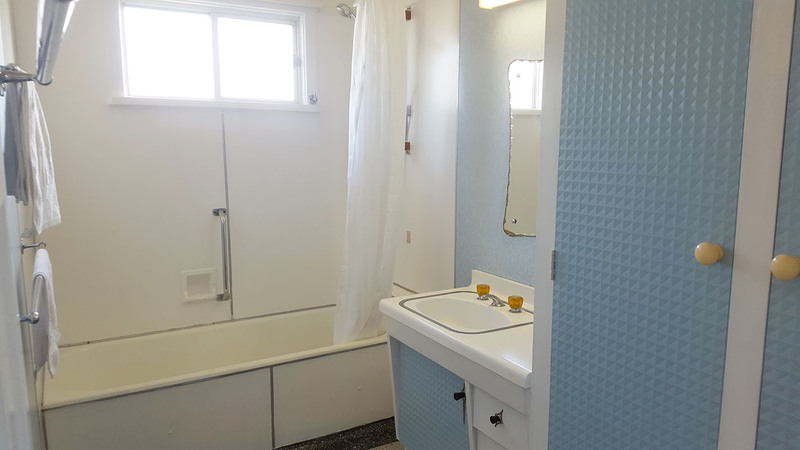 This house has 3 bedrooms upstairs and has a “Captain’s Cabin” downstairs. 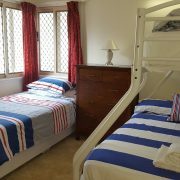 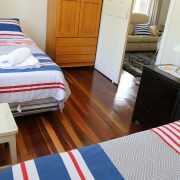 Designed for large families, there are a total of 8 beds available, a 10kg washing machine and an extendable kitchen table. 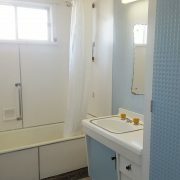 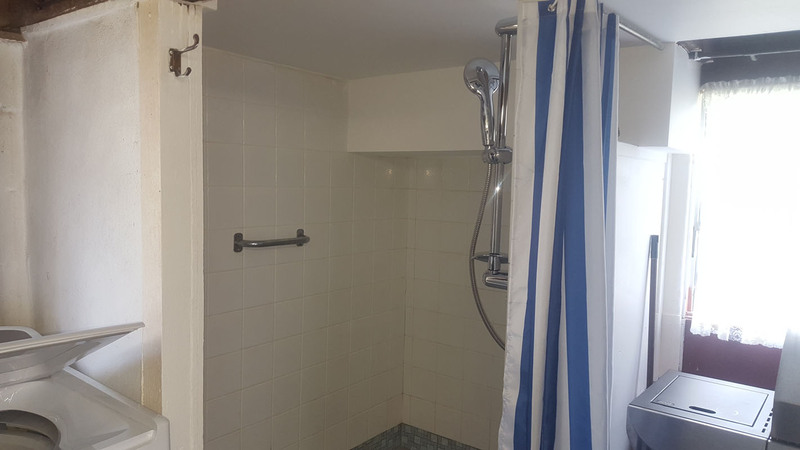 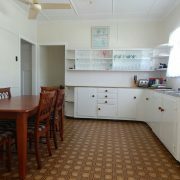 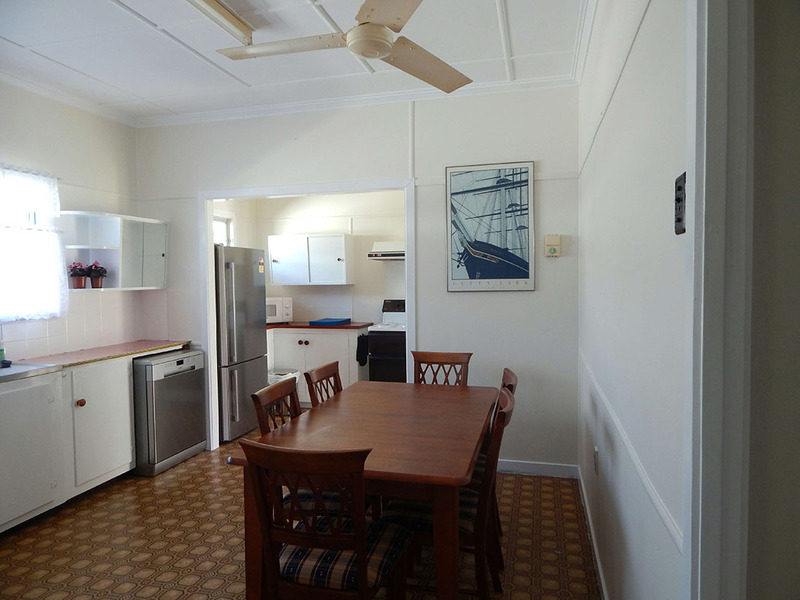 Full of 60’s charm, but with all the modern perks you need like wireless Internet and smart TV’s. 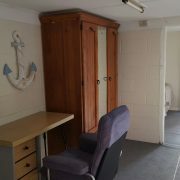 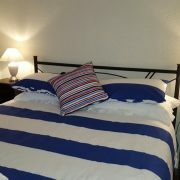 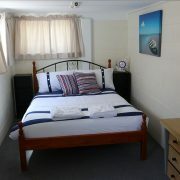 Sailors Rest is just like Grandmas, full of 60’s charm and homeliness, except it has wireless internet and smart TV’s! 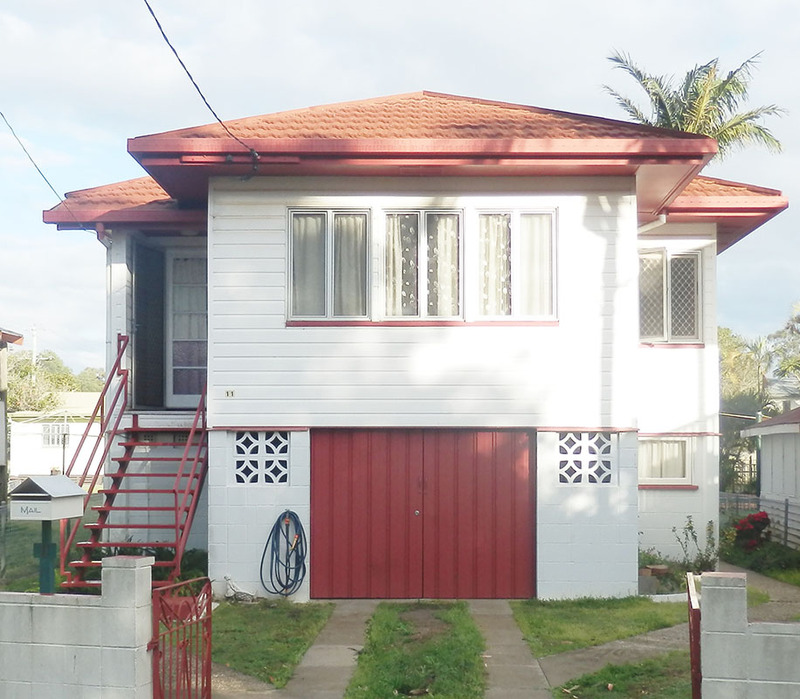 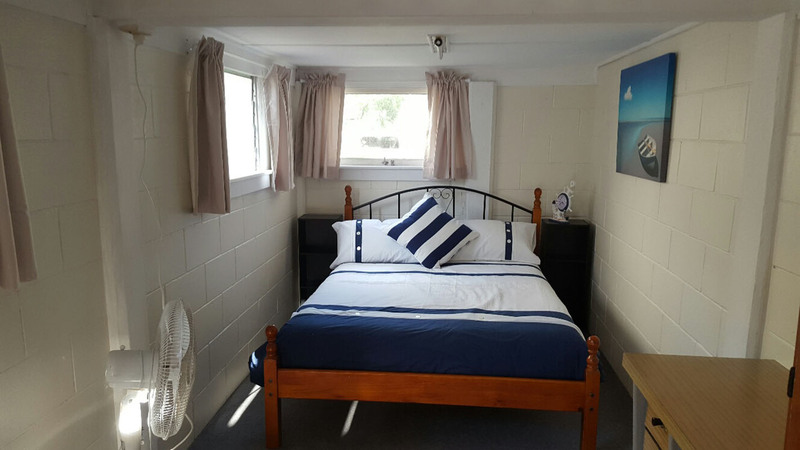 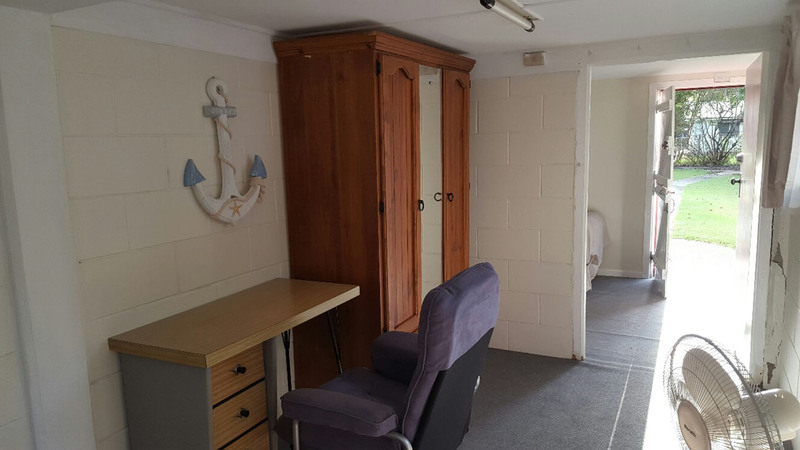 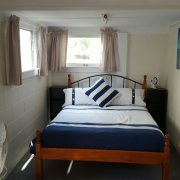 This house has 3 bedrooms upstairs and has a Captain’s Cabin downstairs which you can add as an optional extra. 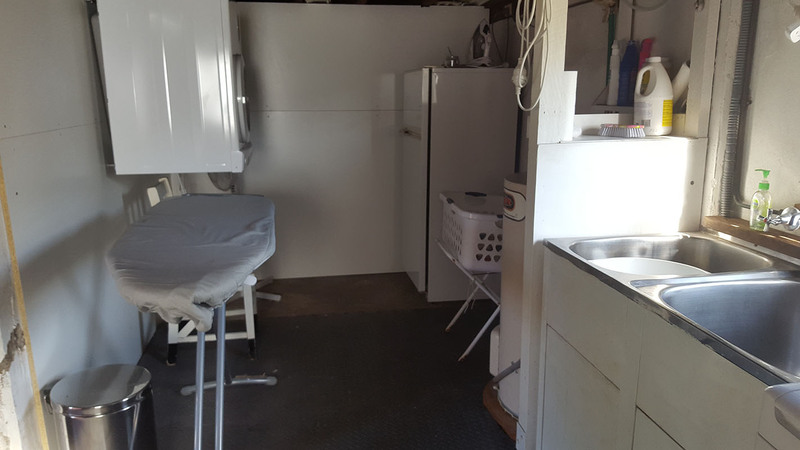 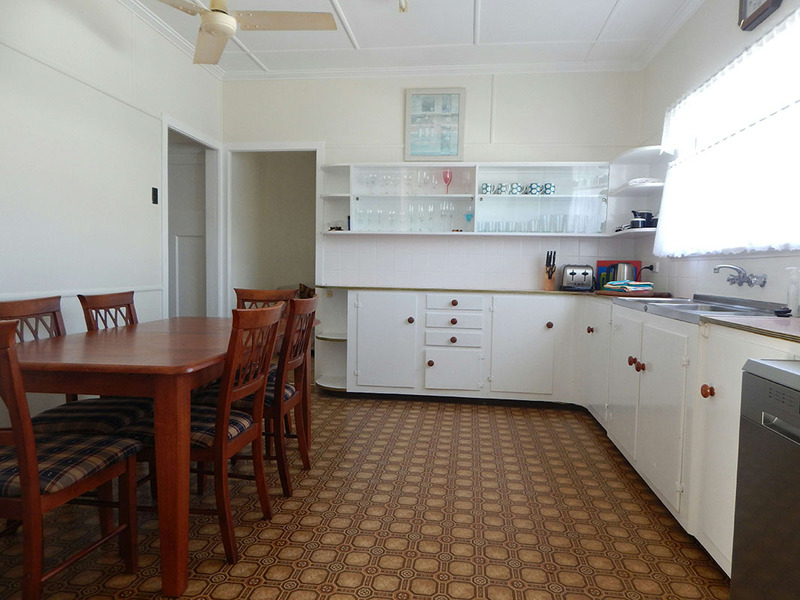 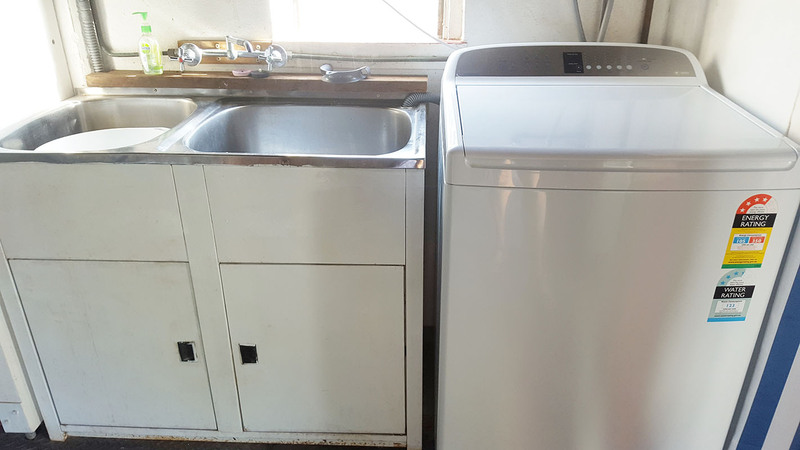 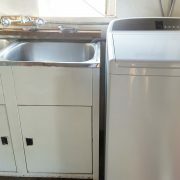 This house has large families in mind with the space, 10kg washing machine and an extendable kitchen table. 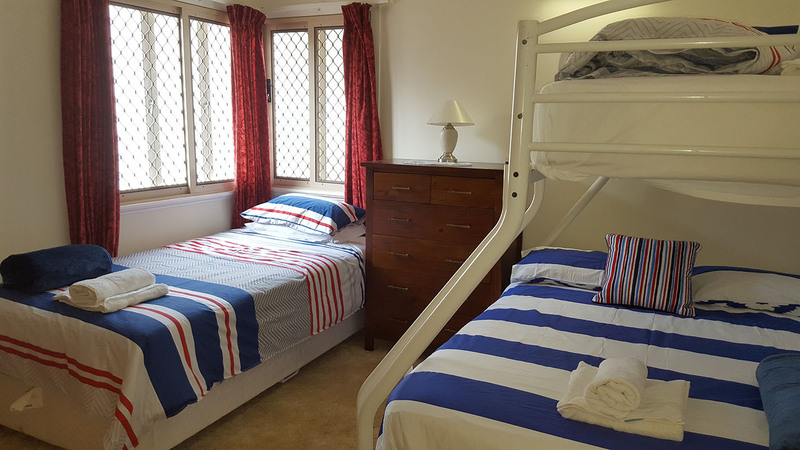 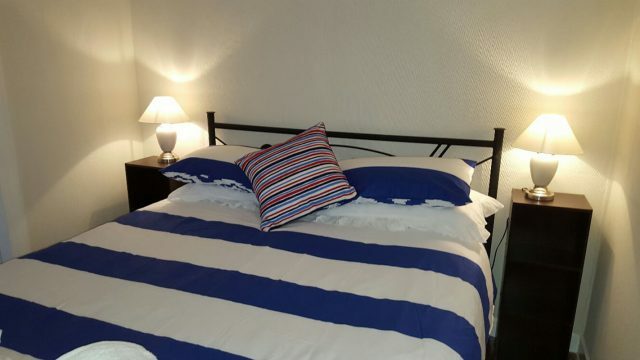 With 8 separate beds no need to be crammed. 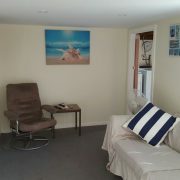 Having wifi internet and Foxtel she really has everything covered. 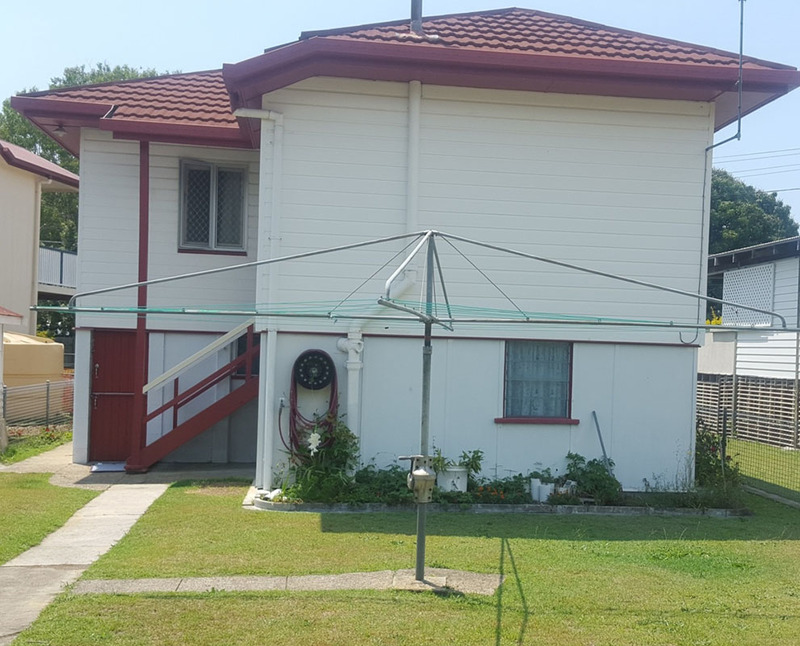 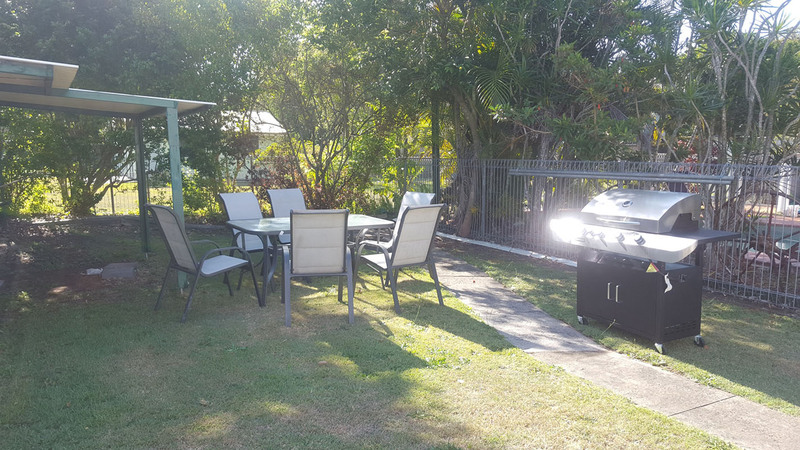 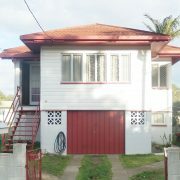 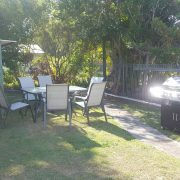 Fully fenced with a flat backyard, and best off all only 100m to the Esplanade. 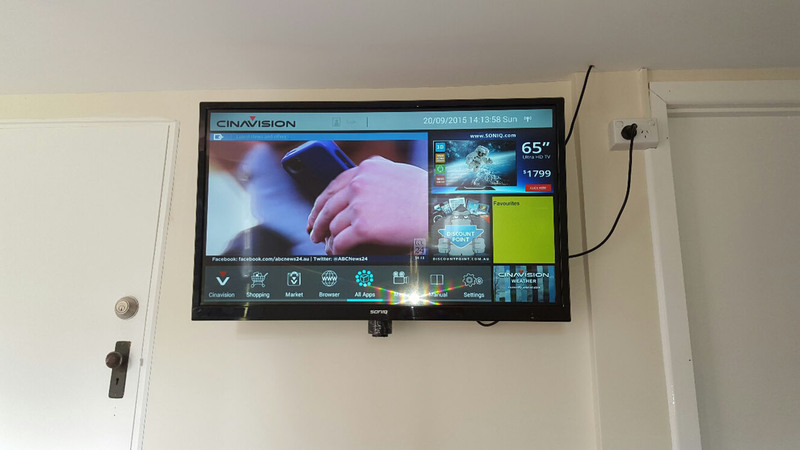 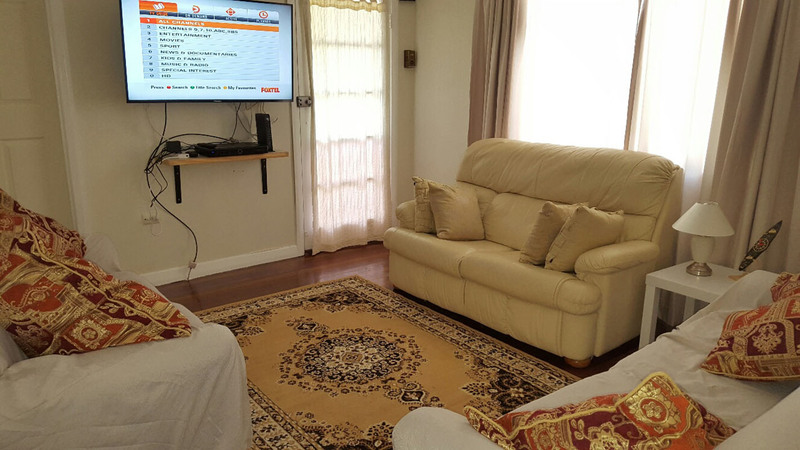 With fast cable internet and premium TV with movies and sport, the whole family will be entertained . 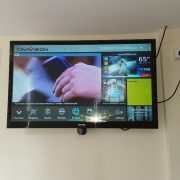 You will be able to access the internet as usual, or perhaps even faster than at home! 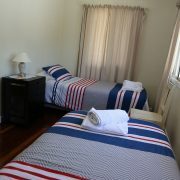 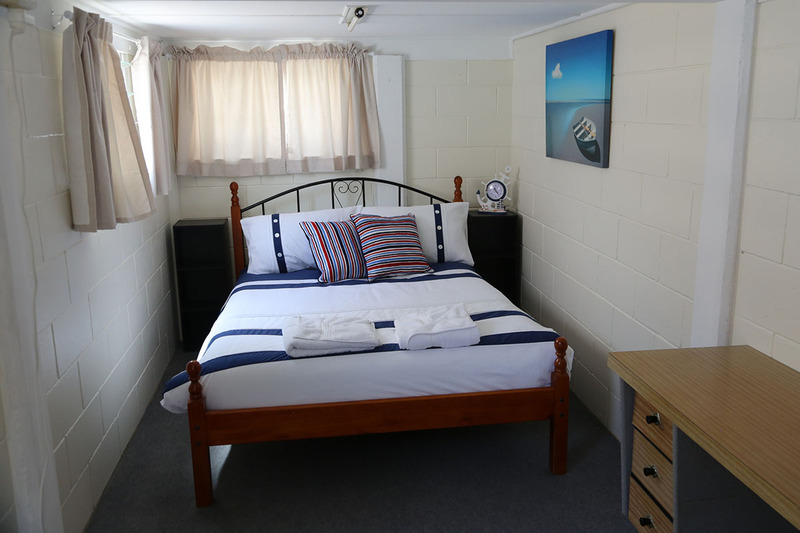 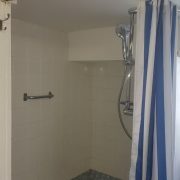 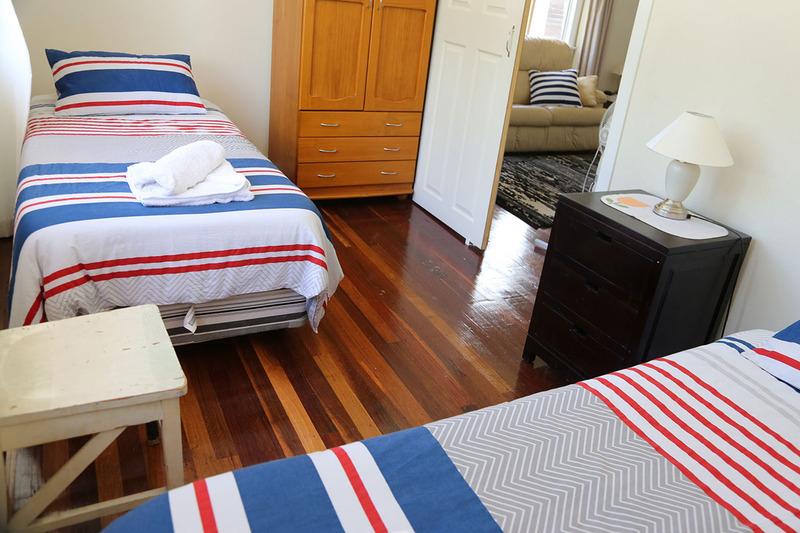 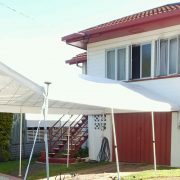 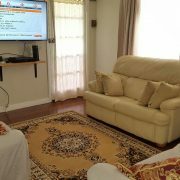 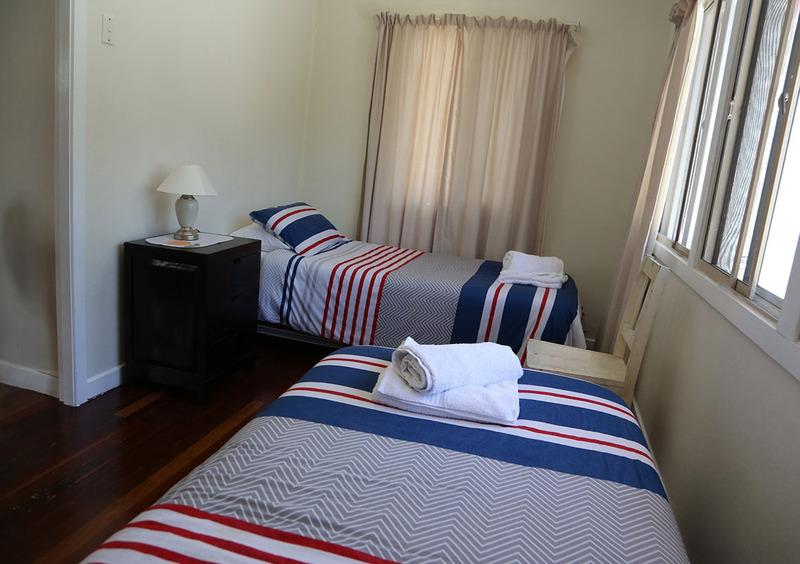 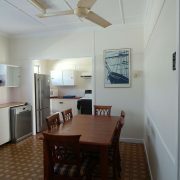 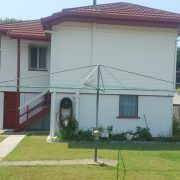 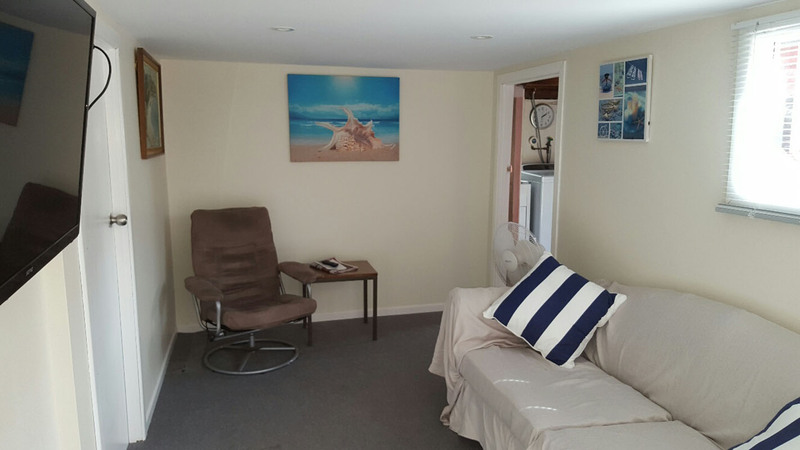 Next door is Manly Peninsular which is ideal if you have a large group and require two houses. 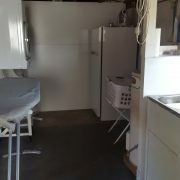 The garage is not available.